Arriving at T-Mobile stores is the LG manufactured G-Slate. And because the tablet offers 3D video capture without a 3D screen, a pair of red and blue anaglyph 3D glasses comes with the device. 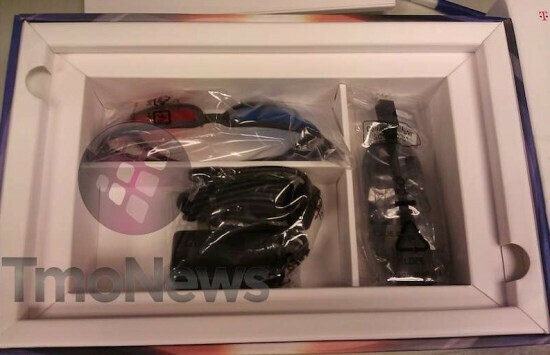 As we reported, the T-Mobile G-Slate is expected to launch on April 20th. 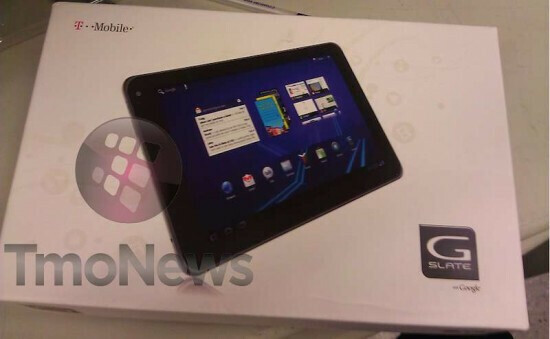 The G-Slate is arriving at the stores with the Honeycomb build of the Android OS under the hood. That version of Google's open source OS is optimized for tablets. A Nvidia Tegra 2 dual-core processor is on board. The processor isn't the only part of the G-Slate with the word "dual" in front of it. On the back of the device is dual 5MP cameras so that the tablet can photograph and capture video in 3D. We already pointed out that the 8.9 inch screen is not a 3D display (and again, that explains the 3D glasses) and does have resolution of 1280 x 768 pixels. Now that your local T-Mobile store is building up inventory of the G-Slate, anyone impatiently counting down the days until Wednesday? Is it just me, or is everyone hanging out for the Samsung tabs? No, I'm still hanging out for a little while longer...I'm hoping for HoneyComb on the hTc Flyer/EVO View 4G, but I'll check out the Sammies and give another hard look at the Xoom but most likely will end up with the Flyer for the Scribe technology. 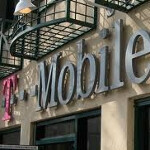 Plus I'd rather give a little support to Sprint after AT&T&TMO join hands. The price point on this is crazy!!! 700.00 plus w/o contract. No thanks. I'll wait for the View 4G as well. Load up the 3D home screen and your kick'n. HTC is much better in my opinion anyway. the tablet is really nice even if you never use the 3d thing (which it shoots very good 3d videos actually. My problem is the pricing. They basically want more than a xoom because it has a second camera (which costs them like 5 bux anyways). Ive been using it quite a bit at work.. like i said, its nice other than the price. Expect the price to drop on this thing within 3 months to a more purchasable level.